Delegate Cathy Vitale sits with the girls from troop 2092 and begins her discussion on community leadership and involvement, asking a who knows their State Representatives. 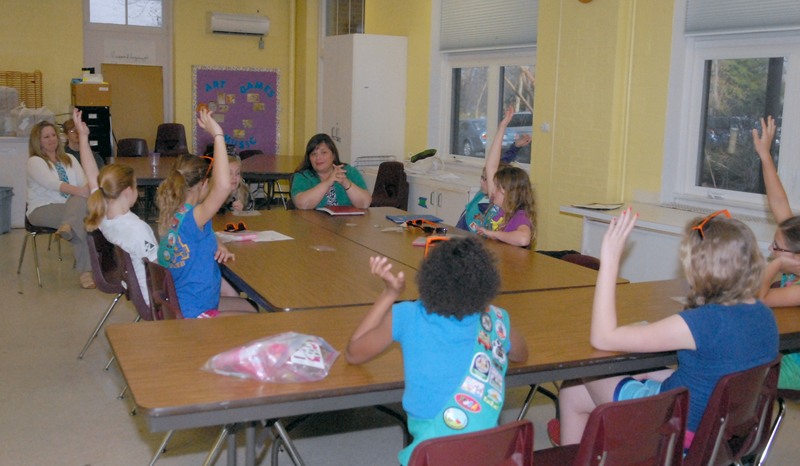 Girl Scout Troop 2094 from Severna Park Middle School are working on their Junior Agent of Change Journey. So far, they have received their The Power of One Award and The Power of Team Award and are working on earning The Power of Community Award. Their troop leaders, Annie and Kristi explained that a theme of this journey is the strong women so they invited State Delegate Cathy Vitale (R) District 33 to speak to the troop about the importance of stepping up and showing your commitment to the community.